Tammy Marshall is the Founder of The B Hive – a business transformation consultancy that specialises in the Travel, Tourism, Hospitality, Leisure and Entertainment sectors. Throughout her more than 25 years’ experience in travel and tourism, she’s played a leading role in propelling the sector into its current stage of dynamic modernisation, most notably through her successes in launching and embedding experiential travel as a globally relevant offer. Tammy has built her career around enabling global companies to pivot, transform and capitalise on rapid growth opportunities. She has held C-level positions and executive roles at TFE Hotels, Carnival Australia, P&O Cruises, AAT Kings/Inspiring Journeys, Contiki and more. Early on in her career right up to her most recent roles, she’s always been drawn to challenging, complex roles that require a progressive and change-oriented leadership style to forge paths into new territories and markets. Today, as the founder of The B Hive, she is solidly focused on helping people and businesses to reset for the future through a focus on business transformation, growth, innovation, and education. 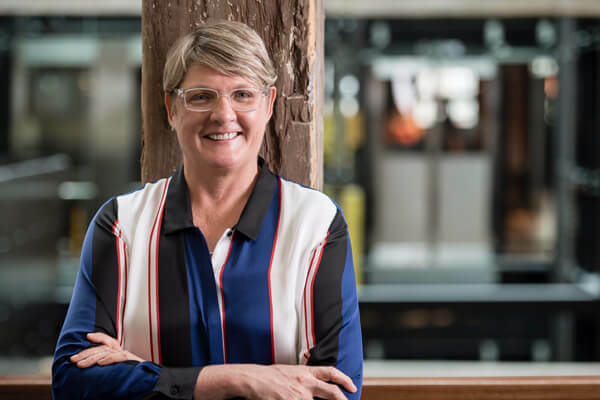 Tammy holds a Master of Business Administration, a Graduate Diploma in Business Administration and a Bachelor of Business – Management from Queensland University of Technology (QUT). She is a member of the Australian Institute of Company Directors (AICD), the Australian Institute of Management (AIM) and is part of the Laureate Torrens Australia University Industry Advisory Board. Tammy is the Senior Industry Advisor for the Hospitality and Tourism sectors for Slingshot – Australia’s only Corporate Accelerator Program. She is also a Slingshot mentor, a mentor at inspiring rare birds and happily spends time mentoring start-ups in the Hospitality and Tourism industry. Tammy is also regularly engaged as keynote speaker and presenter at various events. When she’s not working, you’ll find her indulging in her passions of travel & discovery, food & wine, and getting outdoors every chance she can. Click here to download Tammy Marshall’s latest speaking engagement presentations. Tammy was the perfect Keynote Speaker at the 2016 CAUTHE Conference in Sydney. Not only because of the breadth and depth of her experience within various hospitality sectors but also because of her real life examples and her ability to illustrate new trends impacting industry as well as customer behaviours. She is an amazingly engaging speaker and her knowledge is both comprehensive and inspiring. Tammy Marshall is a dynamic, engaging speaker who made an outstanding contribution during PATA’s 2017 Pacific Tourism Insights Conference hosted in Vanuatu. Her keynote presentation ‘When never enough is too much’ was highly rated by the audience due to the level of detail, insight and strategic direction she delivered. All her information was highly relevant to industry leaders of the Pacific region due to the practical application of the advice she delivered. In 2017, the Australian Cruise Association (ACA) held its annual conference with the theme of “Together towards tomorrow”. We engaged Tammy from The B Hive as a keynote speaker not only because of the depth of her knowledge and experience in the cruise industry, but also because we wanted a respected, engaging and forward thinking presenter who could grab the attendee’s attention and open them to a new way of thinking. Tammy’s keynote delivered in spades. Her presentation “Designing for Tomorrow” was incredibly well received by everyone and the out takes from her presentation continue to be discussed as an opportunity for the industry. For more information including availabilities and rates, please contact us.